There was a time, long ago… ahem… okay not that long ago… let’s say anytime up to 1999 when watching adverts on TV was more or less unavoidable. However in the twilight of the 20th Century, the advent of the digital ‘PVR’ or ‘personal video recorder’ came along in the shape of the iconic TiVo. It was a pivotal moment in both television and tech history, because it showed how dramatically digital technologies can change human behaviors, and throw established big bucks business models – like TV advertising – into chaos overnight. What happened to the TV advert? Behavioral psychology was highly influential in the format of TV ads, because humans love to be entertained, and develop emotional connections with branding. The advert battleground wasn’t just for eyeballs, it was for hearts and minds. Remember the Apple sledgehammer? The Coca-Cola Real Thing jingle? That guy pulling his Levi’s off in the launderette? Rutger Hauer (directed by Ridley Scott) selling Guinness? Volkswagens dropping from the sky and so on? TV ads launched the careers of Oscar winners, made No.1 pop records, created globally recognized catchphrases and iconic images. Advertisers strived to make you stay glued to the TV to catch that new ad everyone at school or work was talking about, hence the big budget, big name, Hollywood A-list adverts. The reason for this was simple: if you wanted to skip the TV ad break, you’d do so by leaving the room (to make a cup of tea or visit the loo, etc.) This well known behavior placed a premium on the TV ad slots immediately after an ad break began, or immediately before the ad break ended, to catch viewers before they leave the room and when they come back into it. Big budget ads in the middle of the break helped keep eyeballs on the screen – partially – but our natural tee-and-a-pee behavior created the premium ad slot, and that remained unchanged for around 60 years. Until TiVo. Because the moment it became possible to ditch the ads altogether, people voted with their fast-forward button… and that was the end of the golden age of advertising. 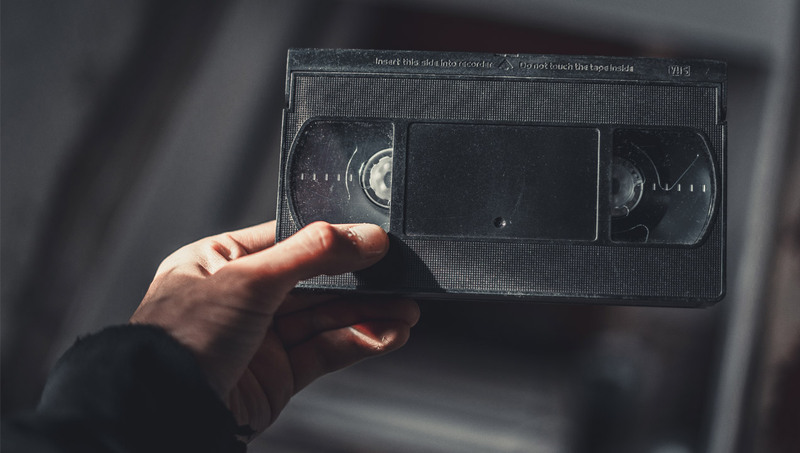 If you recorded a show on your VCR (video cassette recorder), you could fast forward through the ads but, as most of us remember, VCR visual searching was clunky. Also, capturing TV broadcasts often required arcane timer programming, clock-setting, codes printed in the TV Times magazine and so on. VCRs limited the amount of recording people actually did through poor usability, not to mention the expense of bulky cassettes, and the need to remember what was on them (so you didn’t record the FA Cup over your wedding video by mistake. Sorry darling). When TiVo arrived, it did what digital devices do best: It simplified. It removed the need for consumable media (no tapes, no pain); the interface made it intuitive to record not just one TV show, but entire series with one click; the timer on TiVo was always right, so it didn’t top or tail recordings by mistake; TV shows were offered-up in a simple, searchable electronic programme guide (so no missing a show due to a lost TV Times mag) and all TiVo’s recordings were visually organized, not a jumbled stack of identical tapes underneath the telly. But most significantly, you could easily timeshift through the adverts. The effect of that simple innovation, was huge. This influenced the creation of the premium show sponsorship that tops-and-tails ad breaks with glossy branded content. This is now commonplace on all commercial channels and pretty much all TV shows, and why? Because when you see the rugged SUV on Discovery, even at x12 speeds, you know part two of Wicked Tuna is starting. And when you see the meerkat in the red velvet smoking jacket on ITV, Coronation Street is back. And so on. The sponsorship ad is a visual marker, to enable the user to hit the end of the ad break, a moving target that’s moving in time, instead of space. This is just one of many examples you can find, when a new technology drives a change in human behavior, which in turn causes dramatic shifts in established markets. In much the same way that chat messaging apps hit telecom company call revenues; and downloads crippled high street DVD and CD retailers; the behavioral shift enabled by the digital PVR killed the TV network’s advertising cash cow. Ironically, the TiVo concept feels curiously old fashioned today, because the broader television broadcast concept feels positively ancient. 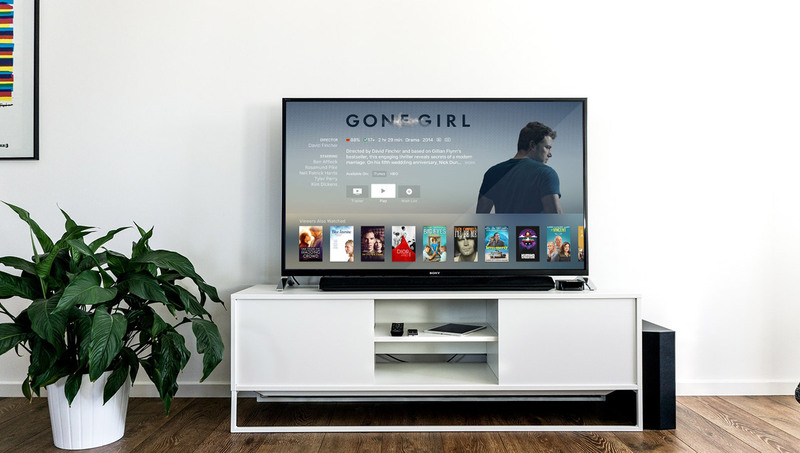 These days television isn’t so much a standalone device as an app channel, it lives on your laptop and in your pocket as well as the living room screen. The broadcasting schedule isn’t something you have to organize viewing time around anymore – except for live events – it’s just a curated playlist of shows, available 24/7 on-demand in most cases. And this all adds up to a world where you can make a cup of tea or take a pee whenever you like, and take your TV shows with you when you do. Today, more and more brands are making (or financing) their own content, and broadcasting via their own cable channels, Youtube, streaming media partnerships and social networks. Without the TV ad break middle-men, brands have a more direct connection to the viewer and in a way, have become their own TV networks. Which means it’s possible the TV advert itself is probably heading the way of the VCR, the mixtape, and sitting by the phone waiting for your buddy to call. The moving target in all of those scenarios, is the human. Understanding customer journeys – and reducing the friction of using products and services – is a hugely powerful force for economic change. That’s all TV ads were: Friction points encountered by customers while consuming entertainment.